Congratulations on your decision to receive Jesus Christ as your personal Lord and Savior! He is so good to us, and it is truly a privilege to belong to Him. Whether you are recently embarking on this new found relationship with the Lord, or you have known Him for quite some time, I strongly encourage you to take Jesus seriously in regards to being baptized in water. 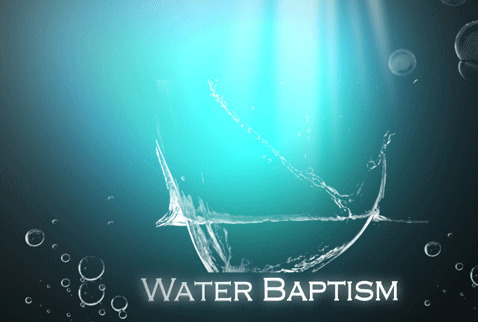 Water baptism is a spiritual act and gives us a living word picture illustrating what has taken place in our hearts. Just as Jesus was buried in an earthly grave and rose again, we too are symbolically burying our old nature in a watery grave and being raised to new life in Him. Please find an application packet at the information center in the Main Auditorium lobby for you to fill out. The packet includes a booklet for you to read. Or you may fill out the online application form on this webpage. Hopefully, your questions regarding being baptized in water will be answered. Should you have further questions on any aspect of Water Baptism, please feel free to call me at the church office. I will be more than happy to assist you in any way that I can. My phone number is 798-4488 extension 115. I can also be reached by e-mail at justins@christianlifecolumbia.com. I am so proud of your love and commitment to the Lord, and I know He is pleased with your heart for Him. Have a blessed day and I look forward to celebrating this significant spiritual event with you soon!